Welcome to the NEW YEAR edition of our English and Drama newsletter. We are also offering £6 tickets to non-members. 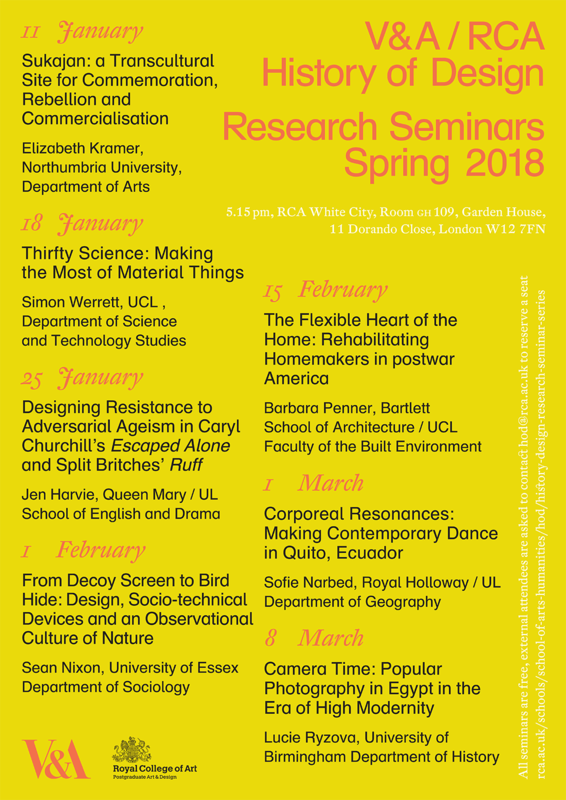 Our very own Jen Harvie will present her seminar ‘Designing Resistance to Adversarial Ageism in Caryl Churchill’s Escaped Alone and Split Britches’ Ruff’. MA Theatre and Performance Graduate Billy Barrett will be presenting his theatre company’s new show ‘The Drill’ at Battersea Arts Centre. Tiffany Watt Smith’s TED talk on the history of emotions was featured on the front page of TED.com in December 2017 and has had over 714,437 views as of 4 January 2018. 1. Keep your eyes peeled for the latest edition of CUB Magazine which will be available around campus in February! If you can’t wait til then, check out the CUB website (cubmagazine.co.uk) for new, weekly content. If you would like to contribute to CUB magazine and join a team of 54 students, please email editorcub@gmail.com or send a message on Facebook @cubmagazine. 2. Our 2007 English alumnus Aslom Ullah (now an English teacher in Kuwait)‏ got in touch via Twitter and shared his hilarious and honest blast from the past video from his time at SED…we bet he is his students’ favourite teacher! 3. Don’t forget to catch our 2017 Drama graduates MEGANDALEX in their debut Bodies (broken 4 u) on 25 January 2018 at Camden People’s Theatre as part of the Calm Down Dear festival of innovative feminist performance.